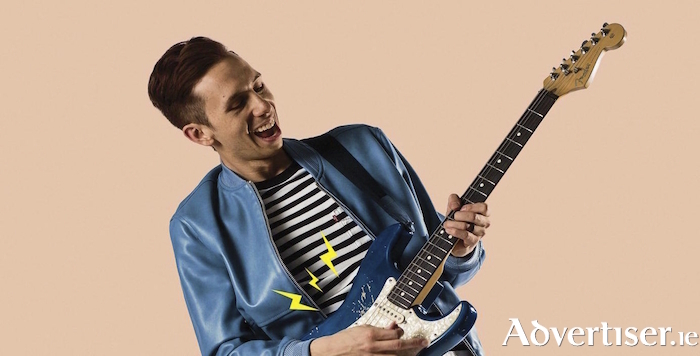 That journey into music has led Minnesota native Cory Wong to his current standing as a contemporary guitar hero, along the way working with noted American indie-funk band Vulfpeck; touring extensively with chart-topping singer-songwriter Ben Rector; and sharing stages with KISS's Gene Simmons, Questlove, The Blind Boys of Alabama, and Bootsy Collins. The guitarist, composer, producer, and sideman also jammed with Prince’s rhythm section during weekly sessions (the late, great, Prince was himself often in the audience or onstage ), and it was here Wong met Vulfpeck, leading to his working with them in the studio and on-stage. In 2017, Wong took the decision to go solo, releasing a self-titled debut album, which The Irish Times called “impeccable” and compared to Sly Stone and Weather Report. He followed this in September of last year with The Optimist, featuring an array of musicians whose impressive CVs hint at the kind of respect Wong commands. “I got a call one day from Ricky Peterson, who’s played organ with David Sanborn and George Benson,” says Wong. “He was coming to town, so I told him I had some tunes I was working on and we should get together and record them the following week." Also featured were drummer Michael Bland and bassist Sonny Thompson from Prince's band, Prince’s horn section, The Hornheads, and Wong's Vulfpeck comrade, Antwaun Stanley. Cory Wong plays the Róisín Dubh on Friday February 22 at 8pm. Tickets are available from www.roisindubh.net; the Ticket Desk at [email protected], Shop Street; and The Róisín Dubh.